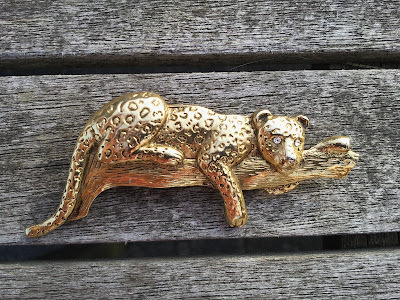 Living in London where vintage is everywhere, I don't get as excited as I used to by vintage clothes, but I did manage to pick up this brooch (which my mum got down to £5 from £7, she loves a haggle). I've been looking for a leopard brooch for a while, I think I'm gonna pin it either on a shirt pocket or a plain clutch. 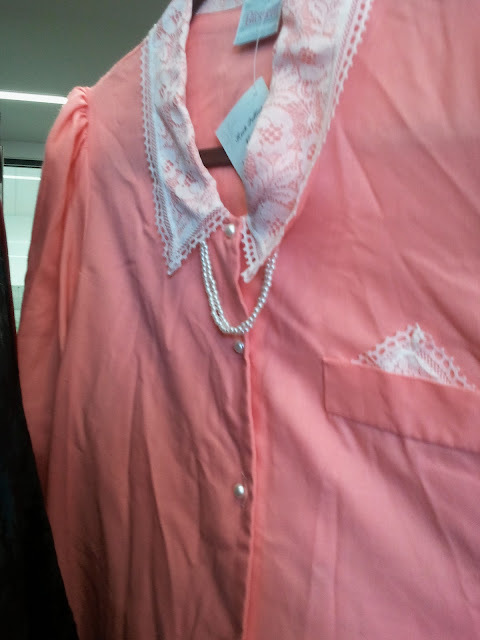 Love the colour and detail of this shirt but it was just too big for me :( I'm definitely gonna try putting a pearl necklace underneath a collar though, I think it looks so cute! This little tartan top caught my eye, I tried it on and it did look cute, but I felt it was slightly too Christmassy. 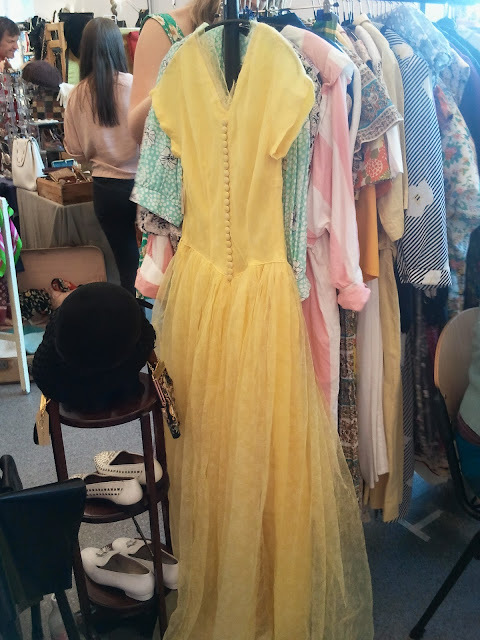 This dress is so pretty, it reminded me of something by Elie Saab. 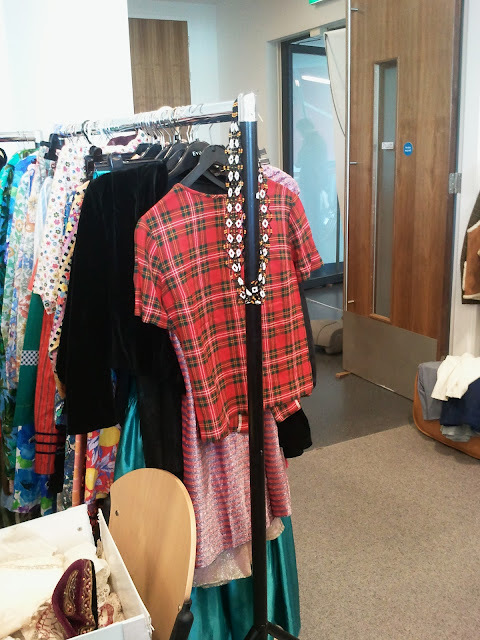 It's not the sort of thing you can just casually throw on though, and sadly I'm not gonna be walking any red carpets soon. 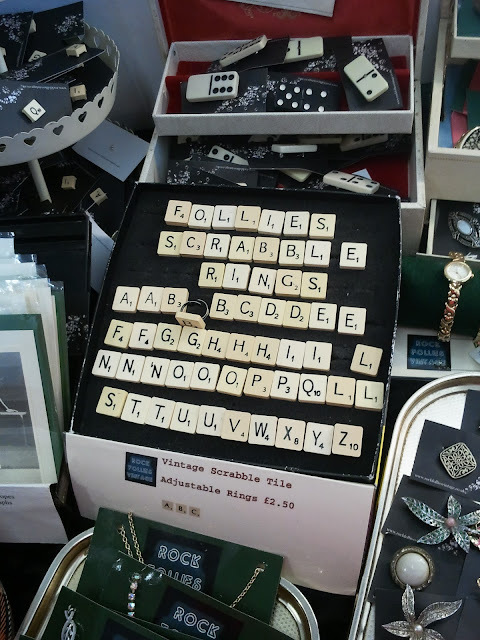 Love these scrabble rings, I have bought 3 already from Dolly Bow Bow, and lost every one. Because these were vintage though they were slightly yellowing, and I prefer the newer ones.